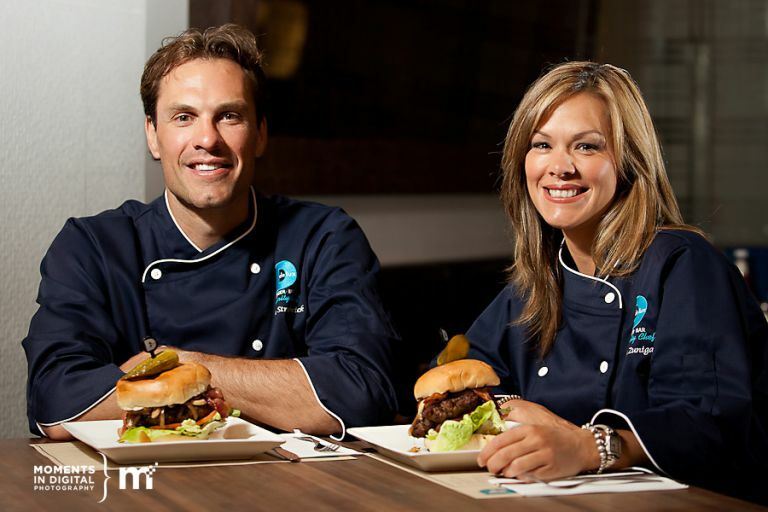 July is finally here and the start of a new month brings us a new Delux Burger Celebrity Chef – or in this case Chefs. 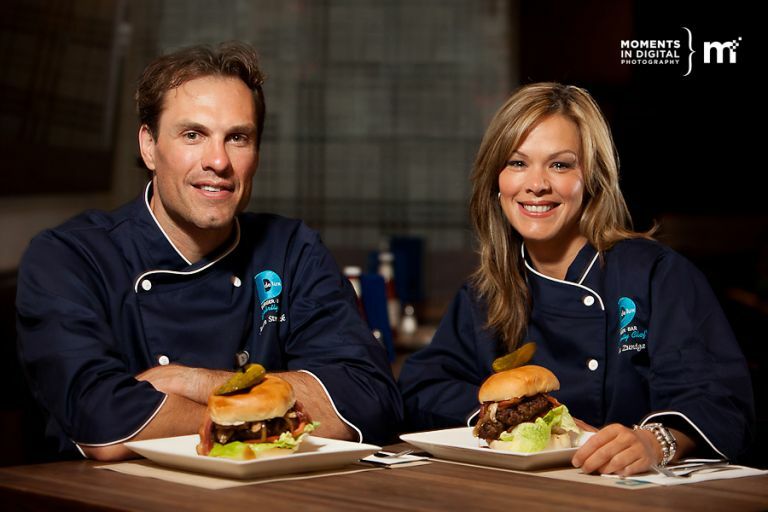 I had the opportunity to photograph this month’s Celebrity Chefs who are Jason Strudwick from the Edmonton Oilers and Leila Zuniga from Andrew Peller Ltd. Their burger is called the ’43rd and Wine’ and is comprised of a 7 oz blackened sirloin burger, sauteed mushrooms, double smoked bacon, carmelized onions, BBQ mayo, and all the groceries, atop a kaiser bun. 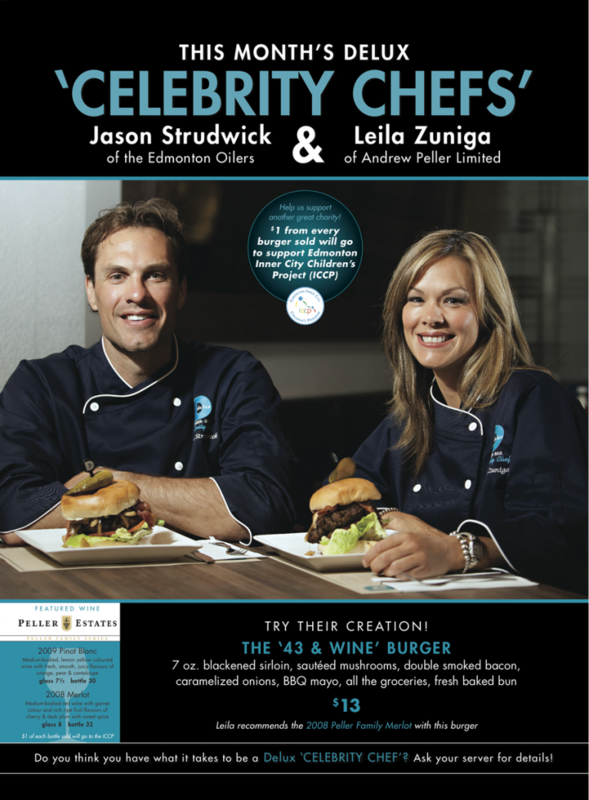 $1 from every burger sold will be donated in support of Jason and Leila’s charity – the Edmonton Inner City Children’s Project (ICCP). 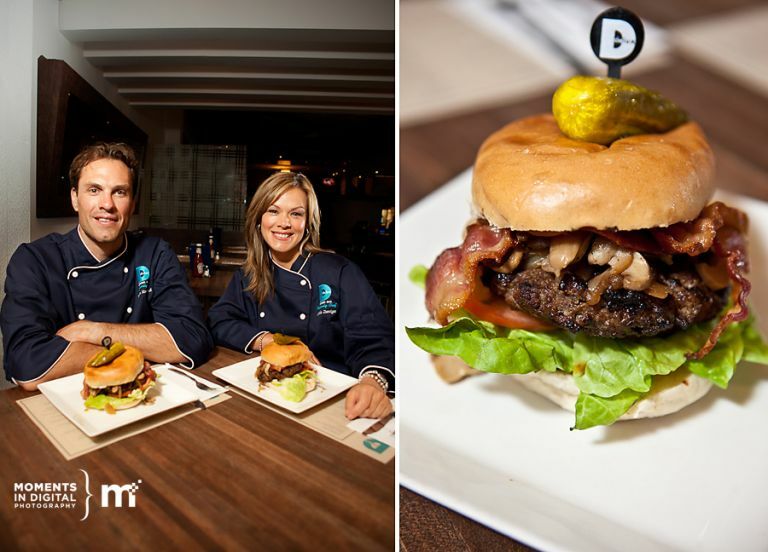 Stop by either location of Delux Burger during the month of July to try their burger and support another great charity. Leila and Jason were naturals in front of the camera and this was the first shoot that I got to bust out my Vagabond Mini Lithium battery pack and bring my full strobes on location. It was also nice seeing Jason’s new baby named Kane and Jason’s wife Schoena who I had photographed back in 2008 at the Dancing for the Kids event. For this particular series of photographs, I was shooting from out in the mall back into the restaurant and didn’t have room to setup the full strobe so I setup a couple of 580 EXIIs and triggered them with PocketWizards. Here are a few photographs from our shoot along with a sample of the finished POS product that will be used in-store.